North East Runner came about when a few running friends met for a catch up one night and ended up talking about how popular running had become in the North East of England. 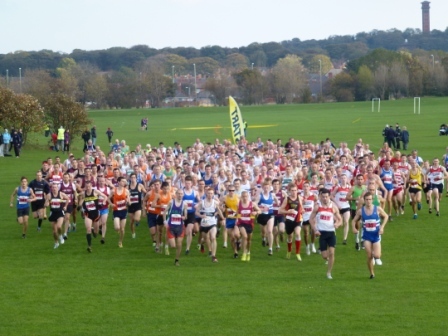 There were 100s of runners at the weekly Parkrun events then 100s more at the club races. There were running clubs all over the region and it was difficult to drive for more than 5 minutes without seeing a runner running around the streets. They all agreed that there was a lack of information for all these runners and what was needed was a website that would only be about North East running. It could preview races and make sure runners knew what events were approaching. It could report on as many races as possible. The more the group talked, the more they realised how much information they could provide to our region's runners. They could provide training advice, nutrition advice. They could ask people to do blogs. The ideas came thick and fast. North East Runner was born. The site has 2 main objectives. To provide a comprehensive information service to runners around the North East. To help to get more people in the region to take up running. Every article, every report, every picture taken is based around these 2 objectives. In the first month the site had more than 22,000 hits thanks to articles from local experts, the bloggers and other contributors. The site profiled top athletes Ian Harding and Phil Hurst with more top quality athletes lined up to be interviewed. North East Runner is here to help. The team love to receive feedback if it means that they are able to improve the site and make things easier for the region's runners. The team at North East Runner remains mainly anonymous. This is because the writers are club runners who are members of various clubs around the region and do not want to be seen as bias towards their individual clubs in any way, shape or form so their identity is not displayed on the website. If you have any questions about North East Runner, would like to contribute or give us feedback then do not hesitate to Contact Us. North East Runner, published by runners, for runners. At North East Runner our experts offer training, nutrition and injury advice. Follow the links to read more. Do you have a favourite run that you want to share with other North East runners? Check out what others think by clicking here.